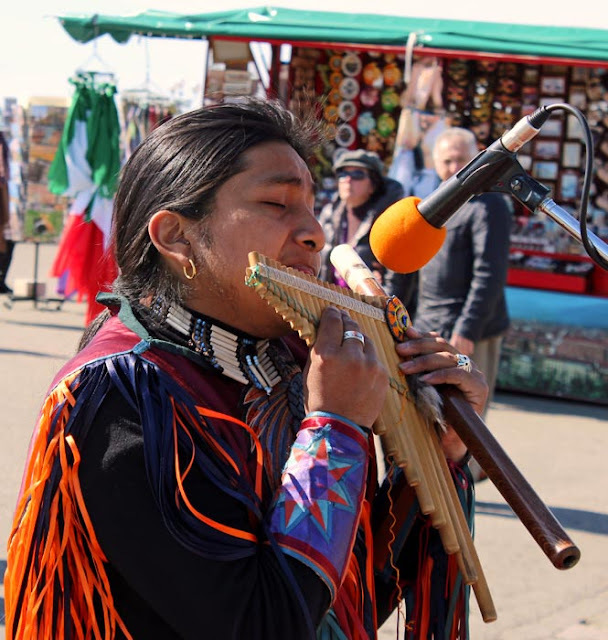 The pan flute or pan pipe is a 6000 year old ancient musical instrument which has its origins in different parts of the world. It is a type of flute, a very basic musical instrument made of closed wooden tubes although several other materials can be used. 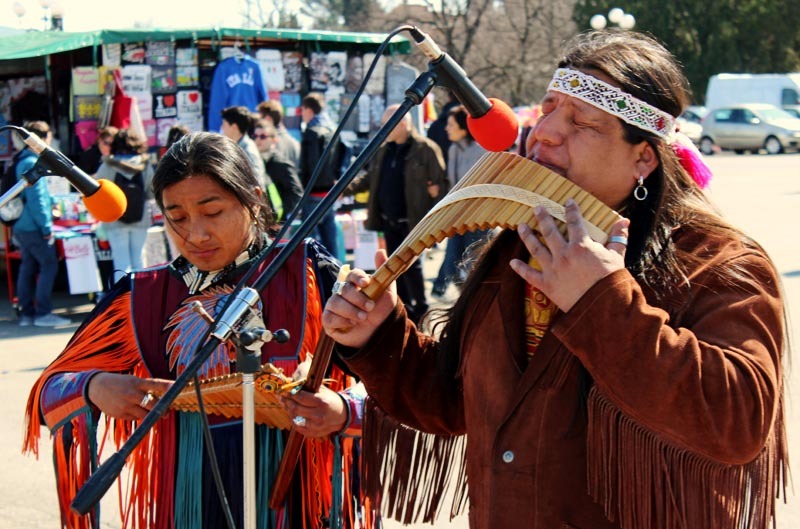 These pictures are of street musicians who appear to be of Native American origin playing the pan pipe. The several pipes are of gradually increasing length as shown in the pictures below. It has been a folk instrument, and is also a type of mouth organ, and as such the "ancestor of both the pipe organ and the harmonica". It is named after the Greek God Pan.